What are the Benefits of Hardwood Floors? Stunning and long-lasting hardwood floors are a terrific option for your home or office. Whether you have a new home under construction or remodeling an existing home or office, selecting hardwood floors for children, hardwood floors are a great option for nearly any room. There are variety of colors, character and construction types to select from which are important factors to consider. Hardwood colors have a wide range of color from very light to profoundly dark. While the rule of thumb suggests that lighter floors work well in contemporary settings and darker floors are typically found in more traditional homes. But after all, it is all about what your preference is! This is naturally present in hardwood flooring. The grain variations are what determine the woods personality. Dramatic grain usually signifies a rustic feeling. Moderate grain is traditional while hardwood with a little grain carry’s a sleek look. Hardwood floors have two choices of construction, solid or engineered. Solid planks are made from a single piece of wood and engineered planks are made from several layers of wood. Engineered planks typically have a HDF or plywood core. This is an advantage to homeowners since they are designed to withstand higher levels of humidity. There are so many varieties in wood colors and finishes to select from. 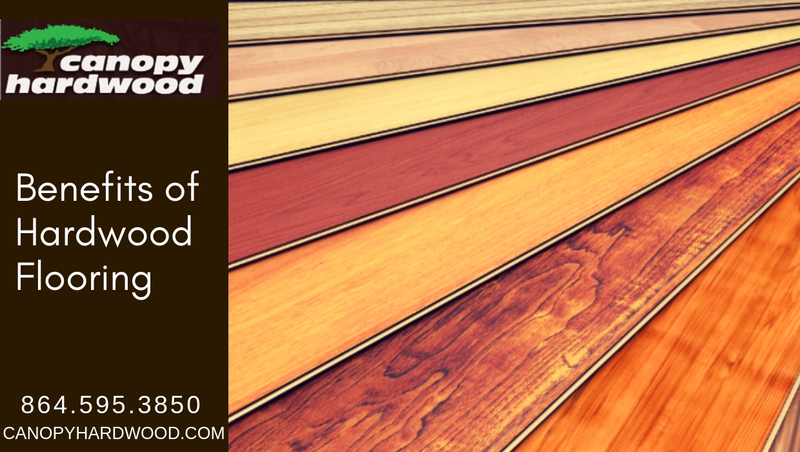 Read more about Steps to Choose Your Hardwood Flooring. Are you interested in learning more about hardwood floors for your home? Contact your Spartanburg hardwood flooring expert today at (864) 595-3850. We have a large selection of hardwood flooring, LVT, tile and carpet.